BSM Media, Inc. is an award-winning and internationally recognized Marketing to Moms agency specializing in influencer engagement and outreach programs. Their MommyParties, and Social Spotters, services are proven activation tactics used by Fortune 100 to Start Up companies. 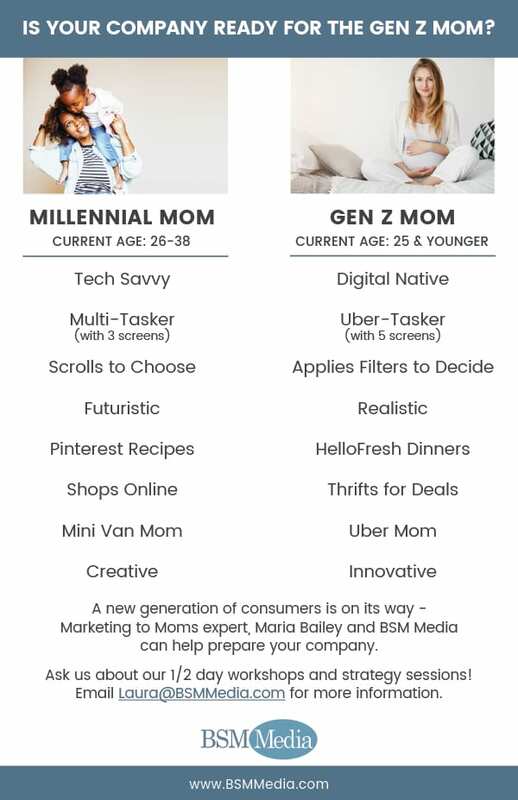 BSM Media also owns and operates MillennialInfluencers.com and GenZInfluencers.com which connects brands to Millennial Influencers and Gen Z Influencers. Maria Bailey is the CEO of BSM Media and the author of “Marketing to Moms: Getting Your Share of the Trillion Dollar Market,” “Power Moms,” “Millennial Moms: 202 Facts Marketers Need to Know to Build Brands and Drive Sales,” and the soon to be released “Marketing to Gen Z Moms.” She is a frequent keynote speaker and media expert. She can be reached atMaria@bsmmedia.com. Learn more about Maria Bailey at www.MariaBailey.com.